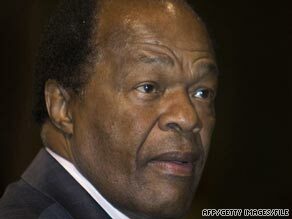 WASHINGTON (CNN) -- Former D.C. mayor, now Washington councilman, Marion Barry has been arrested again. Former D.C. Mayor Marion Barry was arrested July 4 and charged with stalking, police said. On July 4, the U.S. Park Police arrested Barry and charged him with misdemeanor stalking. About 8:45 p.m. in Anacostia Park, a Washington woman flagged down a Park Police officer on patrol and pointed to Barry, who was in another car. The woman said Barry was stalking her, Park Police spokesman Sgt. David Schlosser said. Barry was taken into custody, processed and released, but he must make a court appearance for the charge. A court date has not been set. Barry's other run-ins with the law have included a federal sting operation in 1990, when he was mayor. Surveillance cameras caught him smoking crack cocaine in a hotel room. Despite his fall from grace, he was re-elected in 1994 to a four-year term as mayor. In his latest political comeback in 2004, Barry won a seat on the D.C. Council, on which he continues to serve. Barry was arrested in 2002 when traces of marijuana and cocaine were found in his car after he was stopped in the Buzzard Point area of Southwest D.C. No charges were filed, and Barry claimed that the drugs were planted. And in 2006, Park Police officers stopped him for driving too slowly, prompting him to accuse authorities of targeting him. Barry had been on probation since 2005 for not filing or paying income taxes for several years. Last year he again failed to file a tax return, and his probation was extended to May 2011, according to the Washington City Paper.